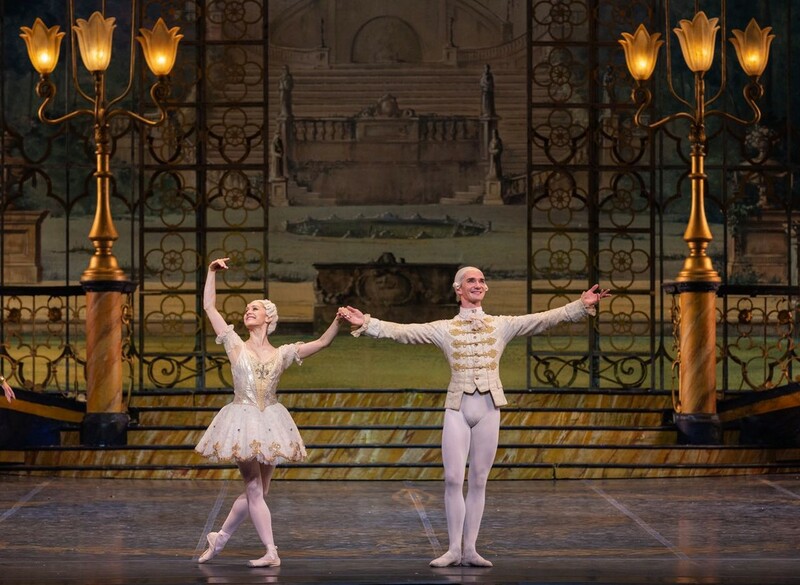 Jean-Guillaume Bart, former Étoile at the Paris Opera Ballet, created his version of The Sleeping Beauty for the Yacobson Ballet Theatre in St Petersburg in 2016. 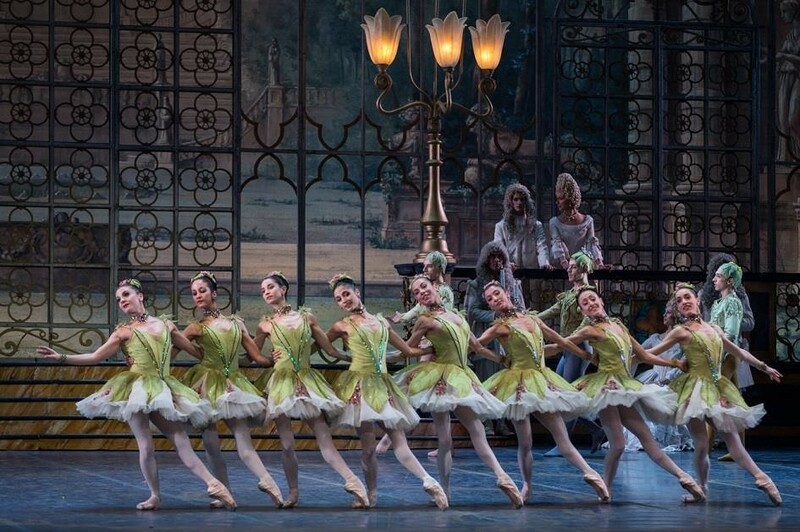 His POB colleague Eleonora Abbagnato — currently both an Étoile in Paris as well as director of the Rome Opera Ballet — asked him to adapt it for Rome last year. Some of it works, some does not. He has opened up many cuts, though often without having a particularly interesting idea of how to fill the extra music. One nice touch was a pre-prologue prologue; a mime scene behind a front gauze which sees the young King Florestan banishing Carabosse so that he can take possession of all her lands. He finds his queen, and the scene finishes with her showing her pregnant profile… thus, ready for the prologue. It’s an efficient way of explaining why Carabosse is so mad at the King. Bart’s choreography can be bland for the corps, or pointlessly difficult for the principals. Marianela Nuñez, who was the guest Aurora for the opening two performances, was given jumping èchappés toward the end of the vision scene which jolted the sequence, taking away grace from a poetic moment, and it looked uncomfortable. Bart grew up with Nureyev’s version at the Paris Opera Ballet which, though eccentric at times, always maximizes a dancer’s potential. Nuñez was, of course, a radiant star and, especially in the first act, she shone with the joy of a young girl in love with life. Audible gasps could be heard as she gave an extra beat to a balance, and all was sublimely satisfying, from her technical wizardry to her refined interpretation. The roses were offered loving to the Queen, not chucked to the ground; her subtle ‘oh, it’s nothing’ after being pricked by the spindle didn’t mark the beginning of a Giselle-style mad scene; and she constantly interacted with everyone around her… friends, family, courtiers. Vadim Muntagirov’s last minute indisposition resulted in him being replaced — in a coup of luxury casting — by Vladislav Lantratov who was performing in The Taming of the Shrew with the Bolshoi at La Scala. There couldn’t be a greater difference in roles than between Prince Desiré and Petruchio, yet how excellent he was in both. The Russian expansiveness of his movements meant he found Rome’s stage small, often finishing a manège millimetres from the proscenium arch, but he is no bold and brash show-off as he’s also tender, precise, and noble. Oh yes, and lands in a perfect fifth-position after every double en tour! Another main dancing character in this version is Carabosse, who jetès her way around the stage trying to be frightening and performs hundreds of steps to little effect. Alessandra Amato gave her all, but she had no moody lighting to help her, was casually carried of backwards after her curse as though what she’d been doing wasn’t all that important anyway, and the whole of Carabosse’s prologue participation lacked clarity, dynamic and force. Children were terrified when Monica Mason came on at Covent Garden in the 1970s – here, I imagine, they just shrugged… Whatever! The Rome company is in a good form. The corps moves well together and there are some sharply disciplined performances from the soloists. Maybe their dancing sometimes lacks a little flair. They are well behaved, but a little flashy chutzpah wouldn’t come amiss. Marianna Suriano was suitably luminous and gracious as the Lilac Fairy, Susanna Salvi was a sparkling diamond, both with her technique and her enchanting personality (and she was later an alternate Aurora), and Sara Loro was a confident and delightful Princess Florine (Simone Agrò was her disappointing Bluebird). 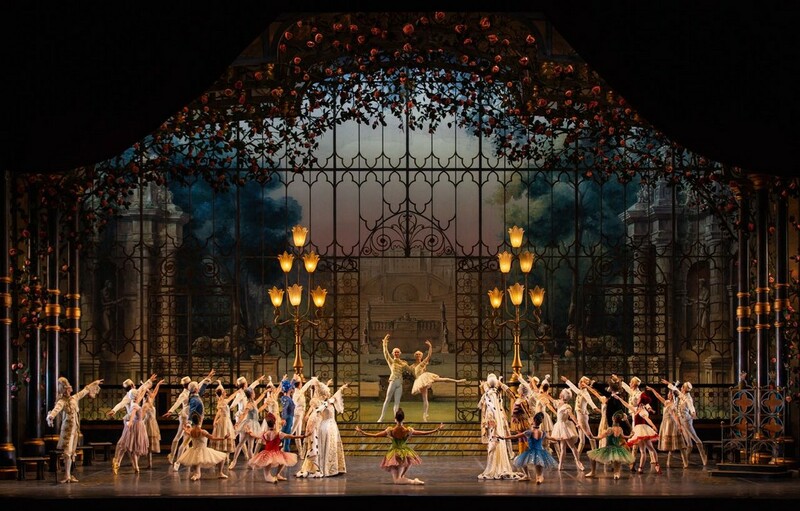 Rome Opera was sinking in a financial quagmire just a few seasons ago, and this production has retained the sumptuous sets and costumes by Aldo Buti which were created for the first-rate 2002 production by Canadian choreographer, and former dancer, Paul Chalmer. While I don’t see the point in dropping that version for this of Bart, I commend Abbagnato’s responsible decision to maintain the previous production, and Bart for having accepted the inherent constraints.